The second pre-season test of the 2017 FIA Formula 2 Championship kicks off tomorrow, with another three-day session taking place this time at the Bahrain International Circuit in Sakhir, Bahrain. The teams and drivers will look to improve their cars from March 29 to 31 at the circuit which will see the racing debut of the new championship in just a few weeks’ time, on April 14 at the Formula 1 Gulf Air Bahrain Grand Prix. 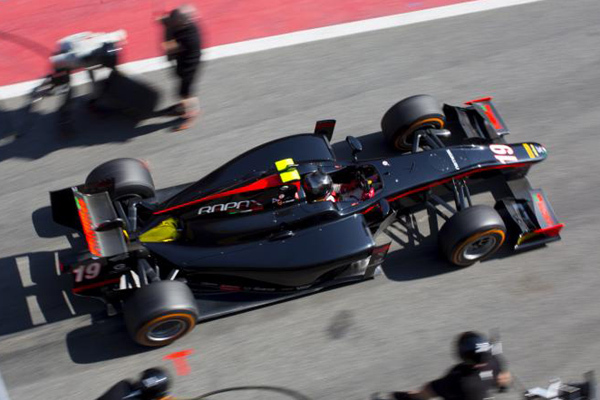 This test follows on from the first FIA Formula 2 session held earlier this month at the Circuit de Catalunya in Barcelona, Spain, which saw the teams put their drivers and cars through their paces ahead for the first time this year. The teams were blessed with good weather throughout the three days, which saw Johnny Cecotto grab the honours on the first morning with a last lap push ahead of Oliver Rowland and Nobuharu Matsushita, with the Japanese driver flying to the top spot in the afternoon, ahead of ART teammate Alexander Albon and Norman Nato. Albon took the honours for Day 2, from Cecotto and Artem Markelov, as the teams worked on qualifying set ups, while the afternoon was set aside for race simulations, with Nyck De Vries topping the session for Rapax ahead of the Prema pairing of Antonio Fuoco and Charles Leclerc. Day 3 saw more of the same, with Nato topping the qualifying style morning session with the top time of the 3 days on 1:27.834, ahead of Rowland and Albon, with Luca Ghiotto taking the honours in the final session, ahead of Rapax teammates Cecotto and De Vries. The Bahrain test sees just one driver change, with South African Raoul Hyman stepping up with Campos Racing to get behind the wheel of car #12. As usual, Pirelli have selected two different compounds for these three days, this time utilising the Medium (Prime) and Soft (Option) tyres. Each driver will be supplied with five sets of Prime and two sets of Option.